Authentique Paper & Pretty Pink Posh- The Perfect "Adventure"
When I received the sequins from Pretty Pink Posh, one set in particular stood out. The 'Nature Mix' sequins which are composed of earth tone sequins in blues, browns & greens coordinated perfectly with Authentique's 'Adventure' collection. So what better way to show off these fabulous sequins that with a shaker card! The design of the shaker card was made with the use of the 'Scalloped Circles' die set by Spellbinders. 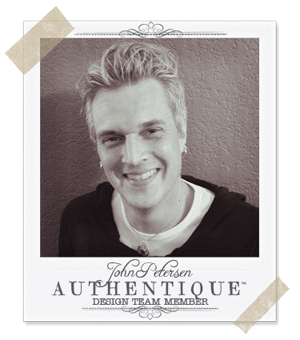 In order to create the shaker card adhere a piece of acetate onto your background paper with dimensional foam tape. The foam tape will give the sequins enough room to move around. Finally adhere the cover of the shaker card right onto the acetate. Shaker cards are easy to make & adds a bit of interactive fun for the recipient of the card. The embellishments on the card were kept simple. 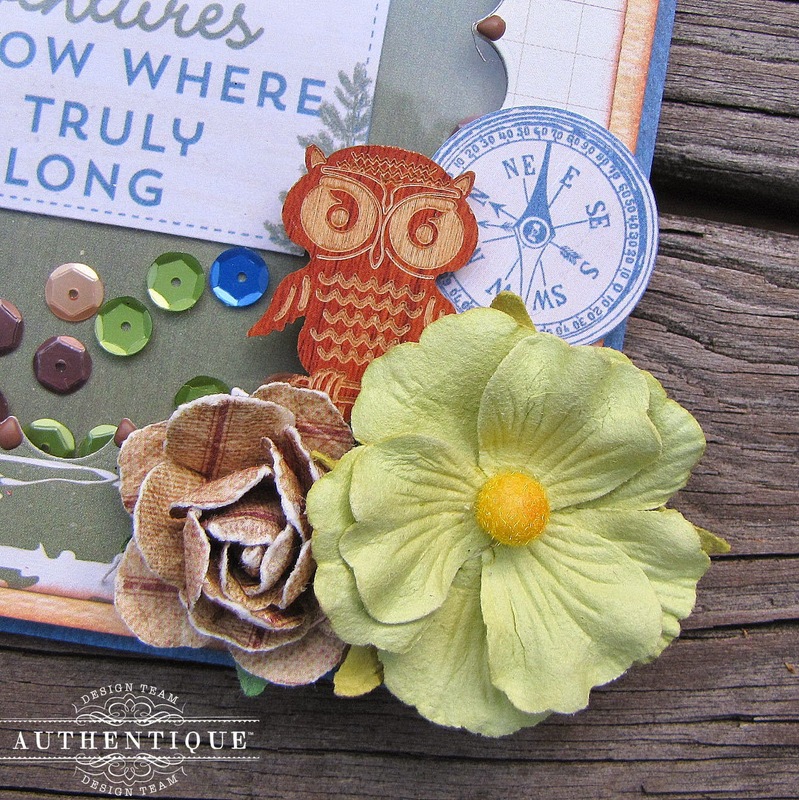 I added a wooden owl embellishment to go along with the 'nature' theme of the card & a couple of coordinating flowers. Here's the inside of the card which I also kept simple. There'll be much more Pretty Pink Posh & Authentique inspiration from the DT all week along so make sure you check back soon! For those of you who don't know, "Glamping" is going camping, but with glamour. Think of staying in the nice lodge with fine dining and wine vs. pitching a tent and eating canned spaghetti around the stove. It's what us "city folk" like to do who enjoy the outdoors and hiking, but let's be honest, prefer a down comforter and pillows compared to rocks, mosquitos and drafty tents. And of course since it's a camping theme, what paper would go better than the Adventure collection – with a little bit of a bling twist. And that's where the sequins from Pretty Pink Posh work perfectly into this layout! 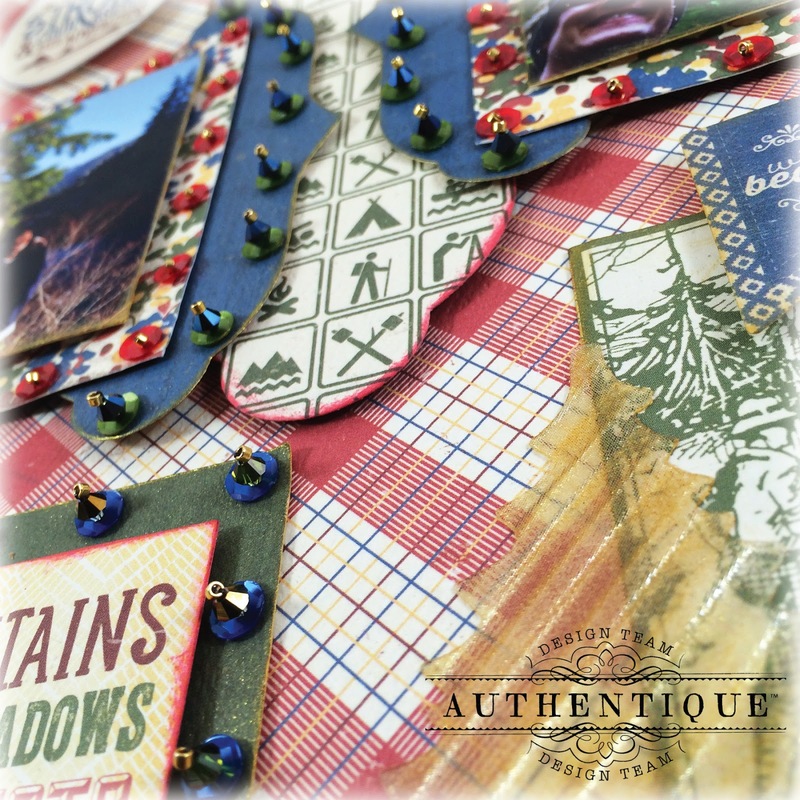 The base cardstock for the entire layout is the Rustic paper. 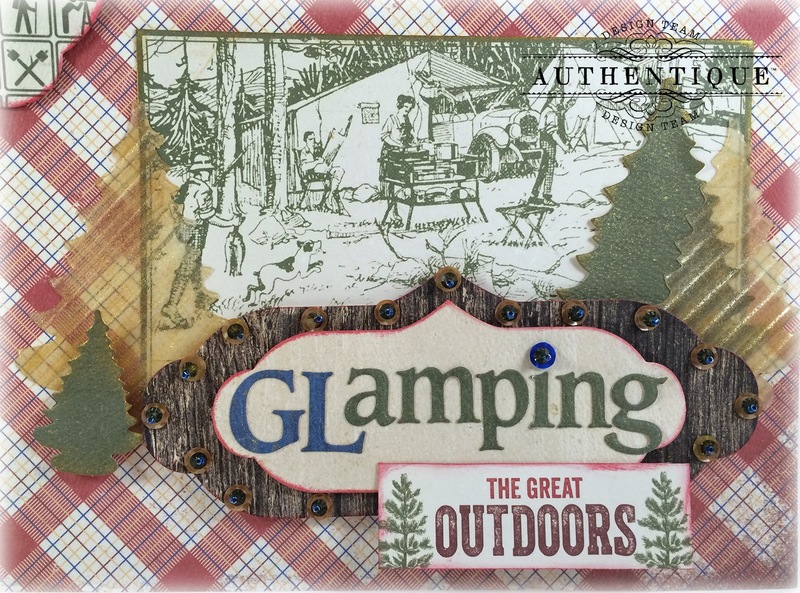 In the upper left portion of the page, I layered the fabulous Scenic wood grain paper with the camping symbols found on the Explore paper. All of the layering pieces were die cut using the Labels Thirty-Three dies which were also sprayed with Sheer Shimmer Gold for added bling. 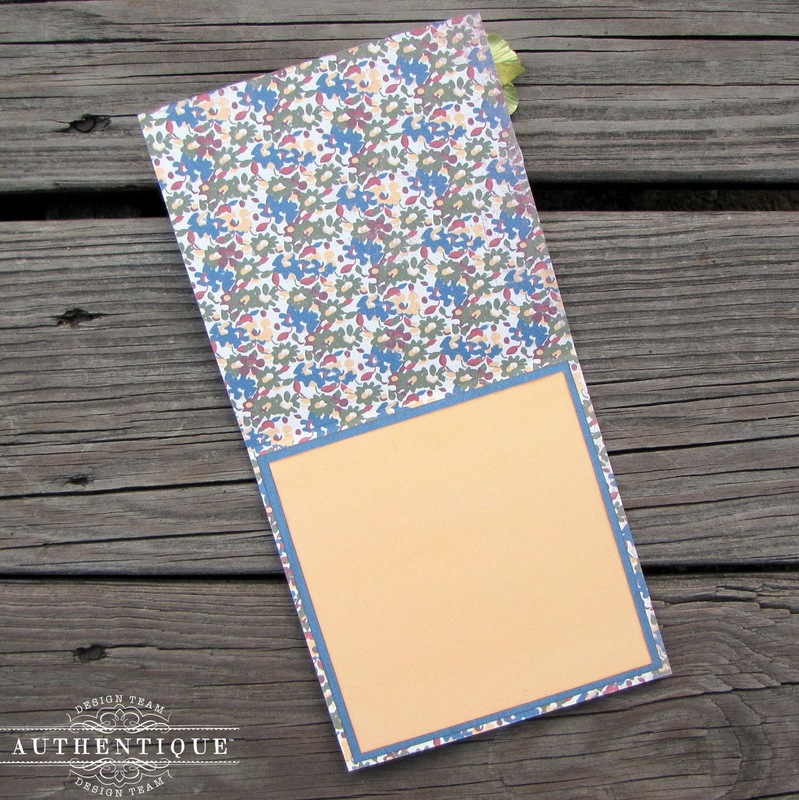 The pictures were layered with the Wildflower patterned paper. Along the edges of the layering pieces, I glued down the Pretty Pink Posh sequins, used an awl to poke holes through the paper, and then stitched Swarvoski crystals with Delicata end beads. Kind of reminded me of Vegas signs with flashing lights – can't go glamping without a little campy! The bottom right corner montage is probably my favorite part of the page! 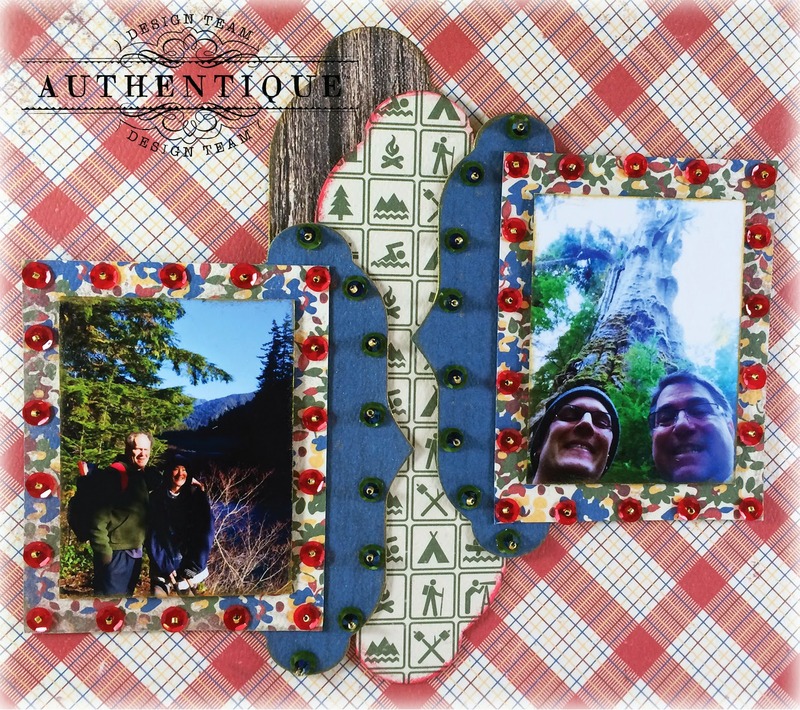 It has that title bar with die cut letters, with "The Great Outdoors" taken from the Enhancements sheet. I carried over the trees found on that piece with die cut trees made from Vertigo (colored with Delicata Golden Glitz on the backside) and other trees from the Explore solid paper (spritzed with more gold). Along with the sequin and bead stitching on the edge, I thought that it was a great contrast to the campsite image found on the Enhancements sheet. Here's a close up view of some of the details found on the page including the shimmer and bead work. I hope that this has inspired you to mix a little glam when you create a Glamping layout of your own! We camped for many years and thoroughly enjoyed it. Nothing like sitting by a campfire at night, talking to friends and family. I'm going to make a shaker card. Haven't made one in a long time so I was glad to get a refresher on making them. The card is so pretty. thanks for having the hop and for all of the wonderful projects that have been shown this week. I love the nature theme from Kay! I have a friend who this card would be perfect for. I so love Authentique paper and PPP sequins. Nice projects from everyone this week. Love all the wonderful inspiration! Thank you so much! so fun! Love the owl. What a great collection! I love camping in the mountains! Just loving this collection and inspiration! Loving all the PPP!!! very awesome projects, love em. Great use of PPP's lovely sequins and the Authentique products! Not only do these fabulous projects make me want to go camping (or better yet, glamping! 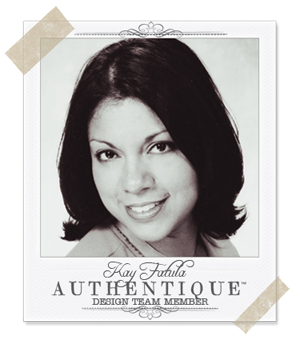 ), Kay's shaker card is super inspiring and makes me want to make my first shaker card too--yep, I've yet to try it, can you believe it?!! And John's LO is another showstopper! 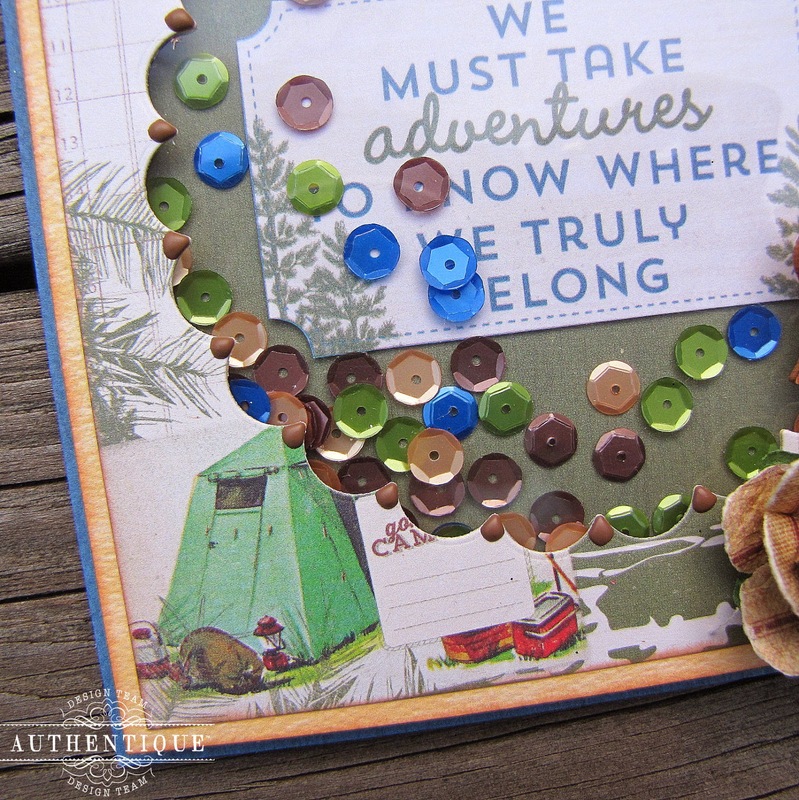 I LOVE how he utilized the sequins on his pages and made them rather masculine for the camping theme. And those trees, Oh, those glorious trees!!! Awesome work peeps! Thanks for showcasing these wonderful creations today! Wow, what a great shaker card and layout! I love the sequin and bead edge on the layout and the sentiment and sequins on the card. Gorgeous projects! Love the shaker card! Such amazing projects! I really love that shaker card! I love Kay's shaker card and John's Glamping layout! 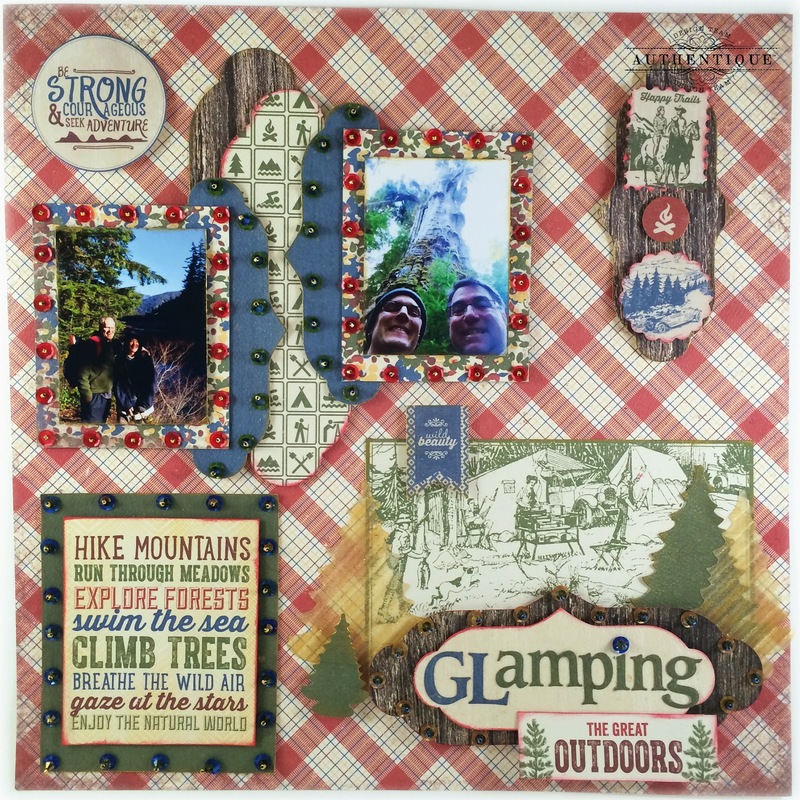 Love the camping theme and the nature mix of sequins. Gorgeous projects, Kay, and John!! Love all the extra elements you add like the sequins, and the sheer spray of gold and added bling! Just love that! What a gorgeous paper collection! I love the shaker card and the amazing layout! I'm an outdoorsy mom and my daughter is all about glitz and glitter. This is a perfect combination for our adventures. You ladies are working these projects! Beautiful projects! I love the look of the card. The sequins are beautiful. I have some unscrapped "glamping" photos that I'd love to match up with the Adventure line! The shaker card is just fantastic! Loved how nicely the colours worked together!